We all live on land that once belonged to wildlife and provided them all they needed for survival. Ongoing human development is making it increasingly hard for dislocated wildlife to find new places to live. By provisioning our yards with the basics that wildlife need we give some habitat back to them while also getting to watch them up close. It’s a small effort on our part and makes a big difference for them. 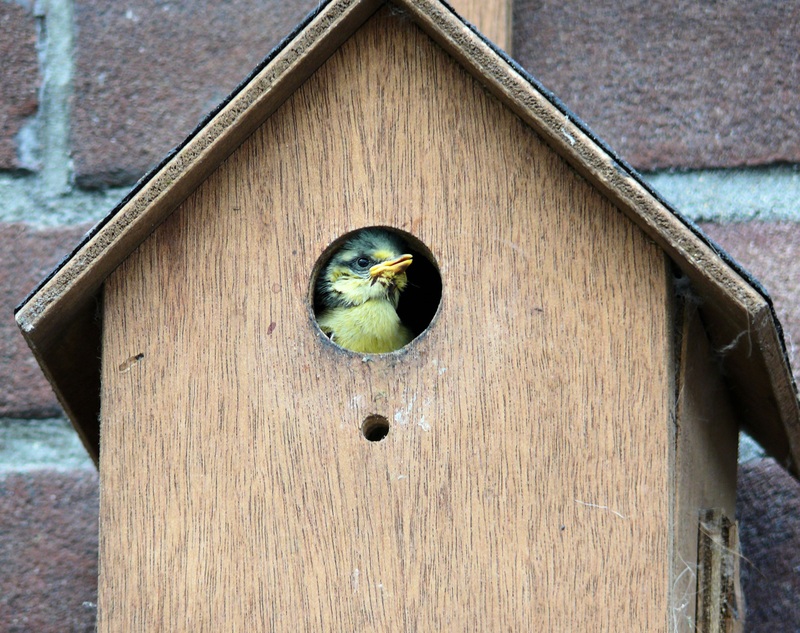 A yard of any size, even a tiny one, can provide all four of their basic needs: food, water, cover, and nesting places. As with humans, the foods eaten by wildlife are plants and animals. A food chain pyramid is a good illustration of how groups of living organisms are a source of food for the levels above them. The pyramid begins at the bottom with plants, which are eaten primarily by rabbits and other herbivores, as well as insects. Insects (take care not to use insecticides) are the primary food for most birds, amphibians, and reptiles, as well as some mammals. In turn, these animals are prey for larger animals, and so on. The top carnivores in an urban environment are typically owls, hawks, foxes, bobcats, and in some areas Coyotes. Plants are just as important as meat for wildlife. They provide nectar for hummingbirds, butterflies, honeybees, and others, as well as fruits, berries, nuts, and seeds for all manner of animals. 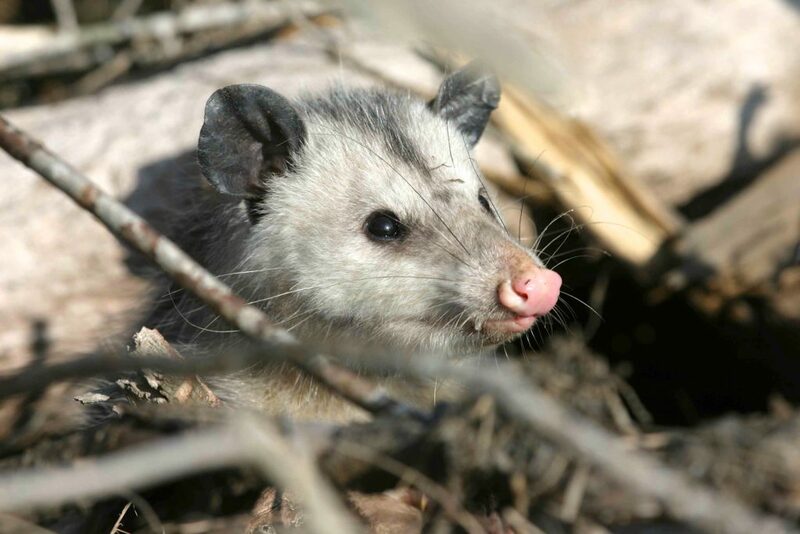 Even some mammals, such as squirrels, opossums, and raccoons, include plant foods in their diet. So, plant as many food-producing plants as possible. 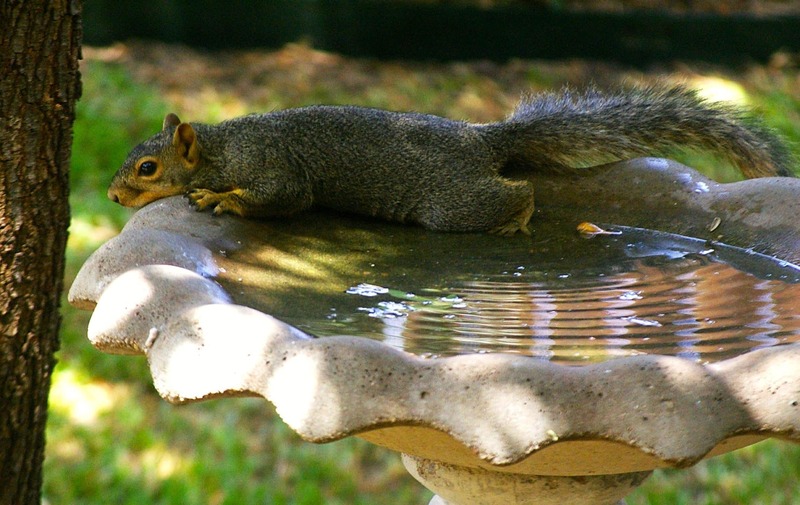 Wildlife need fresh water year-round. In mild weather, terrestrial animals need it for drinking and bathing. Aquatic and semi-aquatic species need water variously for mating, egg-laying, raising young or as a habitat for themselves. 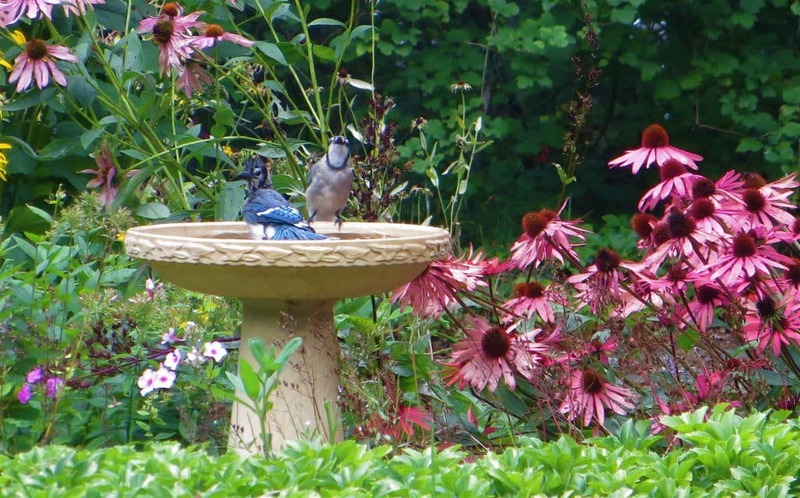 A birdbath, summer or winter, may be one of the few reliable sources of water in your neighborhood and you’ll be surprised at the amount of activity it will draw. Consider adding a heater to it in the winter. When temperatures drop to freezing, a heated birdbath can be a lifeline for animals trying to find liquid water to drink. Water sources can take other forms, too: water feature, pond, whiskey half-barrel filled with water, or something as simple as a flowerpot saucer holding fresh water. 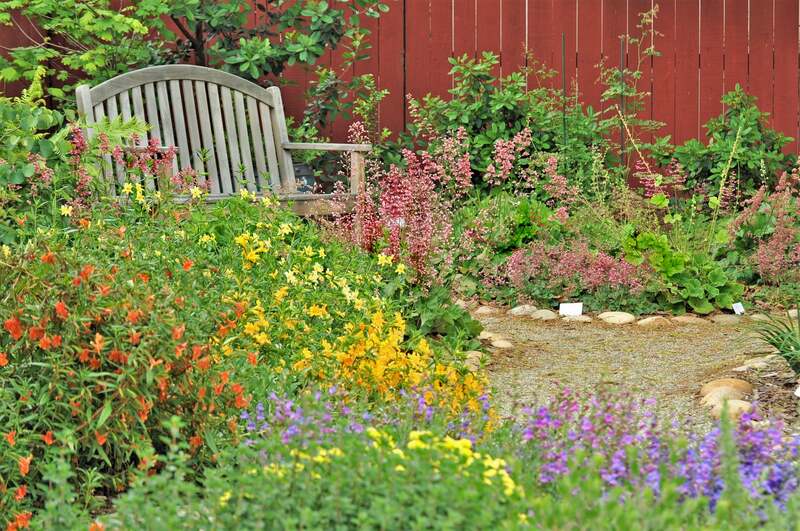 “Cover” refers to the options your yard offers as hiding places for wildlife. It’s essential for their protection. Cover includes plants and dense shrubs, rock and brush piles, hollow logs, a stack of firewood, tall grasses, and deep water for aquatic species. Every wild animal is a potential source of food for another one. But you don’t want wildlife to be sitting ducks, so to speak — cover gives them places to run to when threatened by a predator, for hiding while they rest, and as shelter from the elements. 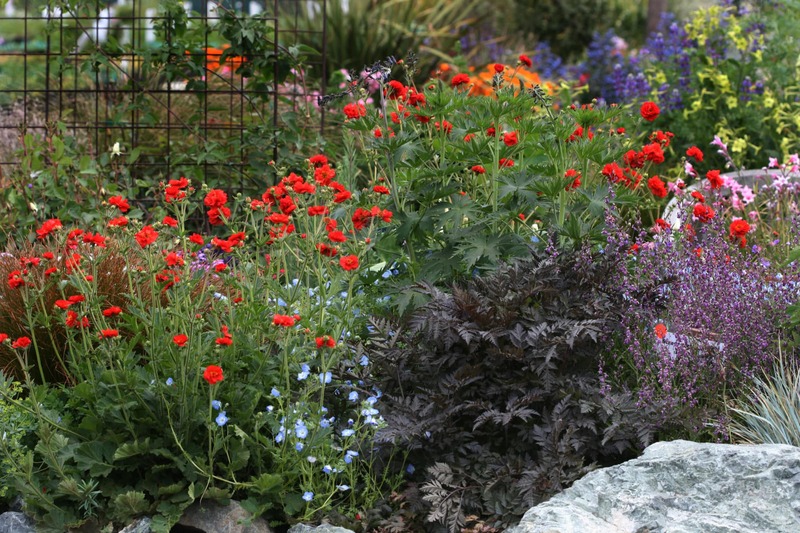 Let plant cover in your yard do double duty by choosing plants that also produce food for wildlife. Wildlife need safe places to raise their young. 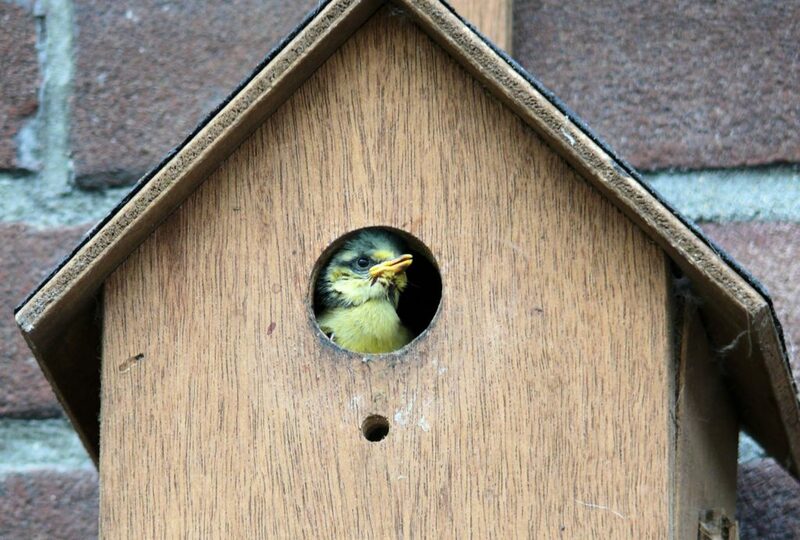 Birdhouses are the most obvious nesting places. 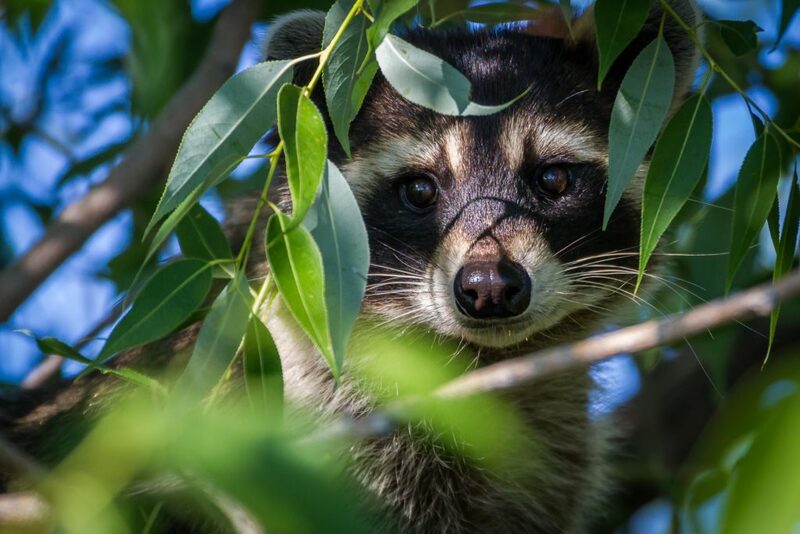 But, trees, shrubs, and tall grasses are used by birds, ducks, cottontails, opossums, raccoons, and other wildlife. A berm in a yard might hide an entryway into a fox family’s den. A pond provides mating and survival habitat for frogs, tadpoles, and dragonflies. Rock pile: A pile of large flat rocks can protect animals from predators, and some wildlife live in them. Cold-blooded animals, in particular, appreciate a rock pile. These animals — toads, frogs, snakes, turtles, and insects — can’t control their body temperature and take on the temperature of the air surrounding them. Their muscles don’t work efficiently, or at all, without warmth. They like to bask in the sun to warm up, and rocks, which quickly absorb the heat of the sun, provide a nifty heating pad of sorts. On the other hand, too much heat isn’t good either, and rocks provide cool places underneath for getting out of the sun. Brush pile or woodpile: Brush piles and woodpiles provide shelter and safety for animals. Some even make their home there.